To achieve high-quality woodworking, knowledge about wood is a must. Projects can succeed or fail based on which part of a tree is used. In particular, it’s important to know the difference between heartwood and sapwood. The bark is dead tissue; and its function is to protect the tree from weather, insects, disease, fire, and injury. The phloem is a thin layer comprised of living cells, and its basic function is to transport food around the tree. The cambium is living tissue. This very thin layer of a tree produces both new phloem on one side and new xylem on the other. The largest part of a trunk is the xylem, which is composed of both sapwood and heartwood. You can usually spot the difference between the two distinct parts of the tree’s xylem if you were to view a crosscut of a mature hardwood tree’s trunk. Once you remove the comparatively thin outer layers, the tree is essentially made up of the sapwood, which is lighter colored wood, and heartwood, which is darker in color. Sapwood is new wood and is like a pipeline which moves water through the tree up to the leaves. Essentially the working component of a tree, sapwood transports water and sap similar to the way blood flows through our veins, capillaries, and arteries. Lumber cut from sapwood shrinks considerably as it goes through the drying process. This part of a tree is also far more susceptible to fungus than the center of the trunk. 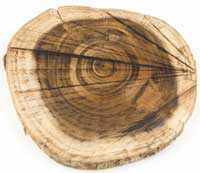 As new rings of sapwood grow, the inner cells are put out of commission and become heartwood. The central, strong pillar of a tree is heartwood. Although this portion of the tree is dead or retired sapwood, it doesn’t decay. As long as the tree’s outer layers are intact, heartwood remains strong. What occurs as moisture is no longer transported through the straw-like cells, the pores in Heartwood are filled with organic material. The presence of chemicals called extractives causes the cell walls in heartwood to change color. Extractives are what create the rich color and unique character in the heartwood. The functional beauty of heartwood for a woodworker is threefold. First, it’s significantly less susceptible to fungus. Secondly, heartwood contains far less moisture than sapwood and will have far less shrinkage when it’s dried. Thirdly, heartwood becomes in some ways as strong as steel as the fibers are bound together. Regardless of whether the woodworker is working with sapwood or heartwood, the correct moisture content of the wood is critical to meet the demands for the end use of the product being made. 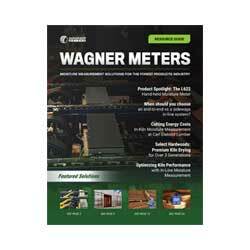 A high-quality, accurate moisture meter is, therefore, a must for the serious woodworker. who long durable of neem sapwood? Zakir, the species name of Neem is another name for Indian Lilac, I believe. We have no information in the sapwood durability of this species, but I recommend you contact the Indian Forest Service to attempt to acquire the information you need.